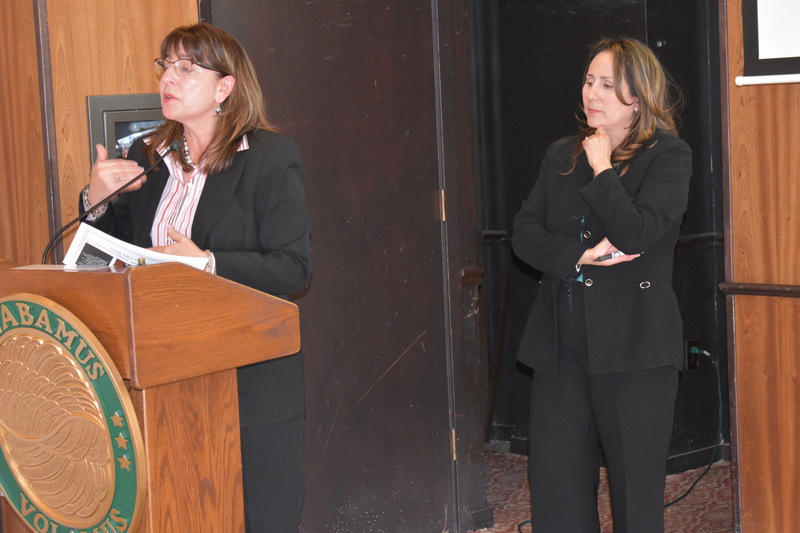 Yesterday, at their regular monthly meeting in the El Paso Club in downtown El Paso, Texas, the local Daedalian Flight learned about the city’s unique pioneering District Court Veteran’s Treatment Court Program, led by Judge Angie Juarez Barill and Silvia Serna, the program’s Director. All the Daedalians present, yesterday, are long time members of the FASF. 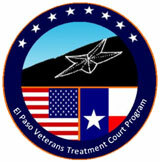 The mission of the El Paso Veterans Court Program is to divert justice-involved veterans and active service members from the traditional criminal justice system by providing them treatment and judicial monitoring to afford them the tools needed to lead a productive and law-abiding life. The program was initiated because of some seemingly incorrigible veterans, many suffering from PTSD or an inability to ease effectively back into civilian society after experiencing the traumatic effects of wartime combat. It was discovered that, with proper counseling and special handling, these troubled veterans could usually recover well enough to fit back into their civilian lives in a productive way. Judge Barill’s program is one of the few pioneering courts in the nation to take this rehabilitative approach to Veterans who have unfortunately come into contact with the Judicial System. 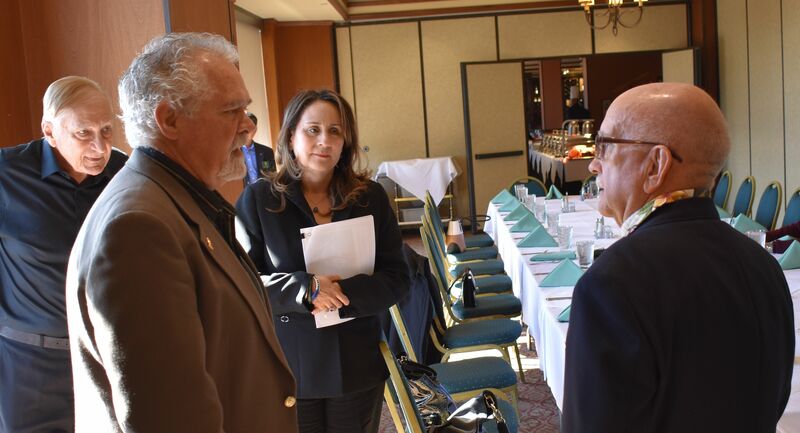 L to R: Col. Bob Pitt, Patrick Barill, Judge Angie Juarez Barill, and Daedalian Flight Captain, Roger Nichols, chatting before the luncheon meeting began. Both Col. Pitt and Captain Nichols are long time FASF members. Veterans Court Team Staffing provides an open forum in which everyone involved in a case can gather to share information, discuss issues, and reach consensus on actions for participants to successfully complete the program. The goal of maintaining a therapeutic court is forefront in all decisions. – Provide early identification of eligible program participants. – Engage in community education and partnership efforts to develop shared understanding and foster a spirit of commitment and collaboration with the Veterans Administration, Treatment Providers, Volunteer Mentors, the Criminal Justice System and other organizations. – Reduce costs associated with criminal case processing and re arrest. Captain Nichols, at the podium, introducing the Veteran’s Court Program’s leader, Judge Barill. 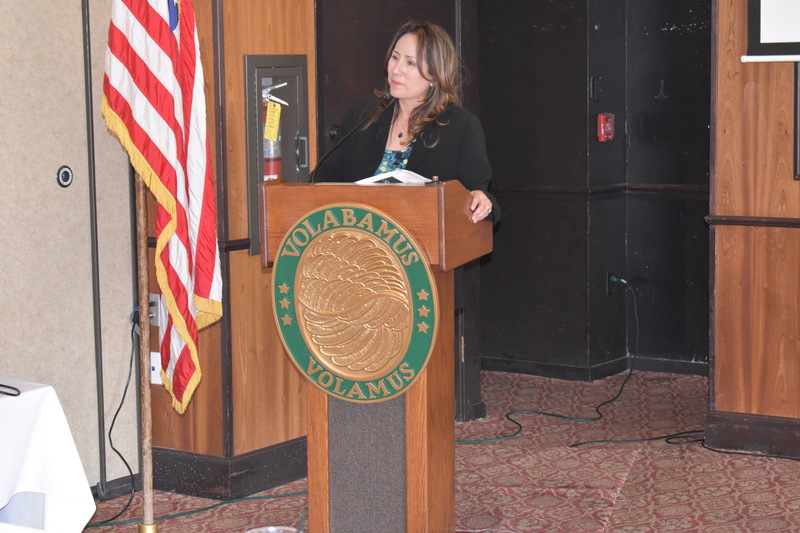 Ms. Serna operated and extensively informative Power Point summary of the entire Veteran’s Program, explaining how it began and how it operates today. Judge Barill explaining her program to the assembled Daedalians. The Daedalian Seal on the podium, translated from Latin means: “We Flew – We Fly” – – – the slogan of the Society, which was formed by former WWI military pilots soon after the war ended. L to R above: Silvia Serna, Veteran’s Program Director, and Judge Barill. 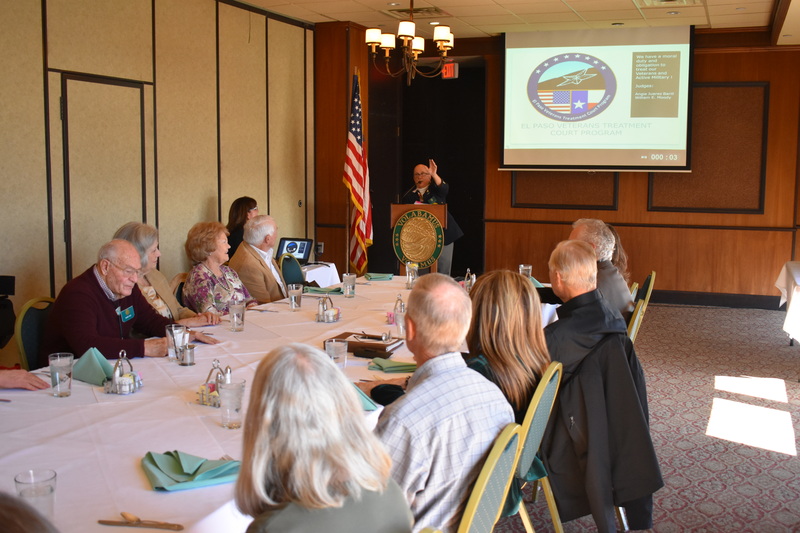 All members of the Daedalians are former U.S. Military aviators – – – and also veterans, themselves, so they were extremely interested in how the Judge’s unique Court Program functions. 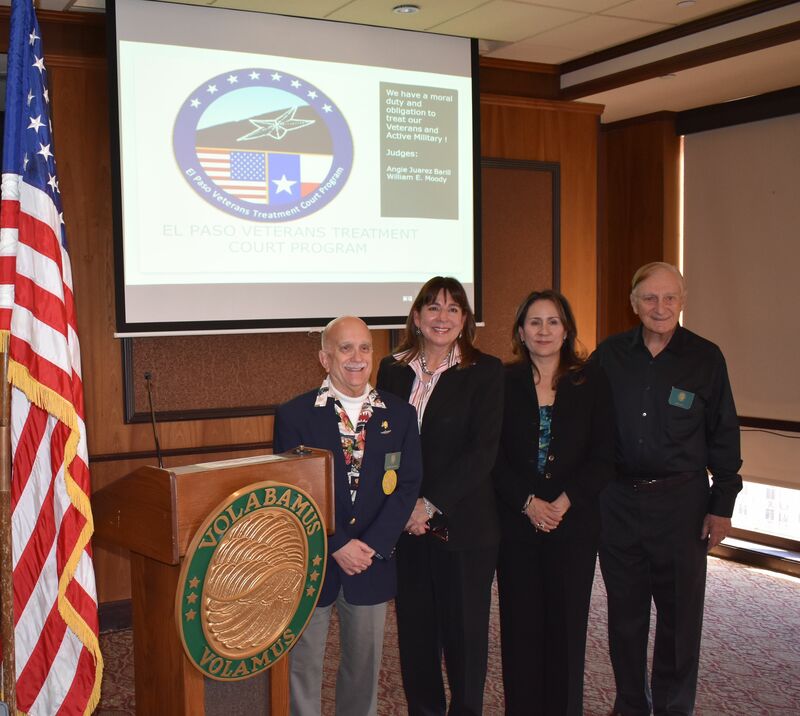 After the meeting: L to R above: Captain Roger Nichols, Silvia Serna, Judge Barill and Colonel Bob Pitt. Judge Barill received her undergraduate degree from the University of Texas-El Paso and her J.D. from Texas Southern University. She has worked as an assistant city prosecutor with the municipal court and a sole practitioner dealing with civil, criminal, juvenile and family cases. She then served as a municipal court judge. In addition, Barill founded the Veterans Court in El Paso County. She has been a District Court Judge since 2004. This entry was posted in AVIATION NEWS on February 8, 2018 by FASFRIC. Excellent coverage & great veterans program! Thx Ric.